Archbishop Charles Scicluna on Friday concelebrated a Thanksgiving Mass at St John’s Co-Cathedral in Valletta to mark the 50th anniversary of Caritas Malta. 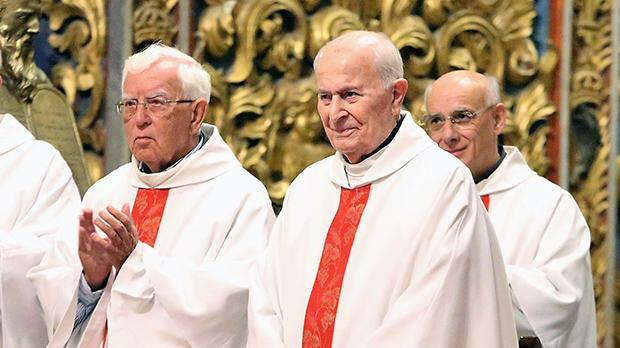 Among those concelebrating were Apostolic Nuncio Alessandro d’Errico, Archbishop Emeritus Pawlu Cremona, Caritas Malta founder Victor Grech and a number of priests who served Caritas. At the end of Mass, the Apostolic Nuncio read a message from Pope Francis. In his homily the Archbishop thanked God for the charity’s 50 years and said that Caritas had over these years adapted itself to meet today’s needs.